Gerry is an intellectual property and transactional attorney having extensive experience in domestic and foreign corporate intellectual property matters, including developing patent and trademark strategies and portfolios, IP landscape reviews and analysis, product IP clearance and freedom to operate reviews and opinions, corporate IP brainstorming, trade secret management and risk reduction, M&A/Investor IP diligence, biotech tools, software, e-commerce and business method patent issues, corporate IP education, IP audits, strategy setting with senior management, IP transactions and licensing, dispute resolution, and IP issues relating to international relations/transactions. 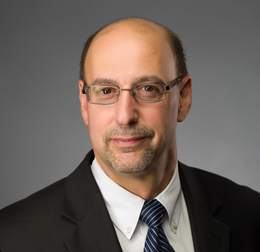 Gerry was formerly Vice President and Chief Intellectual Property Counsel for The Travelers Companies, Inc., where he lead the intellectual property function and oversaw the development and implementation of corporate intellectual property strategies and portfolios. Prior to joining Travelers, Gerry was a partner at MPH representing corporate clients on a broad range of intellectual property issues. Gerry was also formerly Chief IP Counsel for several emerging growth technology companies, including CiDRA Corporation, CyVera Corporation, and Illumina, Inc., where he was responsible for developing and managing intellectual property, licensing, and corporate transactional matters. Gerry was also an intellectual property attorney at United Technologies Corporation (UTC), where he was responsible for a broad range of intellectual property, licensing and transactional activities in UTC’s Commercial/Industrial and Aerospace/Defense divisions. His practice focuses on representing large, medium, and small companies as well as entrepreneurs and Venture Capital investors across a wide range of technologies and industries, including: Information Technology/e-commerce/Internet, Software, Insurance/Financial Services, FinTech, Digital Health, Blockchain, Artificial Intelligence (AI), Machine Learning, 3D Printing/Additive Manufacturing, Nanotechnology, Digital Media, Life Sciences/Biotech tools, Bioinformatics, Oil & Gas/Energy, Telecommunications, Optical Components & Instruments, Industrial Sensing & Process Control, Aerospace, Building & Security Systems, and Automotive.